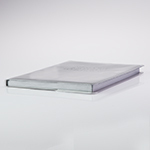 For over 40 years, we have provided clear vinyl books covers to protect our publications. In recent years, we have used vinyl specially formulated for clarity, softness and cold-crack resistance. Vinyl that is too hard is sharp at the edges and uncomfortable to hold. Vinyl that is too soft moves around on the book and feels less secure. Vinyl that is not clear distorts the cover of the book. 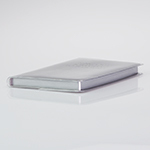 We have chosen to use 12 gauge vinyl and heat-sealed construction instead of sewn construction for increased durability. Heat-sealed construction provides a permanent bond at the seams as opposed to sewn construction which perforates the material, thus weakening it. 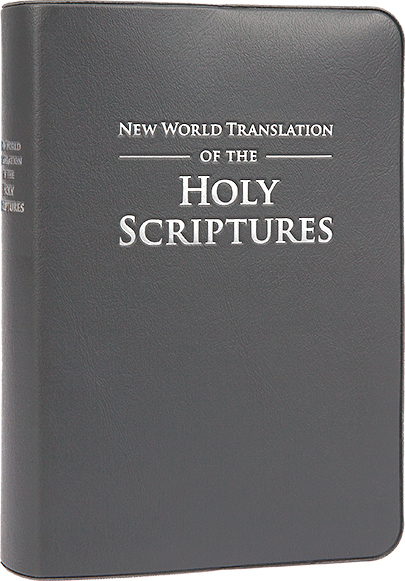 While each of our book covers are designed to fit a number of books of similar size, our CSH, CMD and CLG book covers are designed to perfectly fit the pocket-size, standard and large print 2013 revised editions of the New World Translation. FAQ: WHY ARE THE BOOKS, MAGAZINES AND TRACTS DISPLAYED IN IMAGES OF OUR PRODUCTS CONCEALED OR SUBSTITUTED WITH COLORED PAPER? The United States Branch has requested that publications which include copyrighted artwork on the cover not be displayed in conjunction with commercial products. We have never included unobstructed pictures of publications in the images of our products and we will continue to cooperate with this reasonable request.